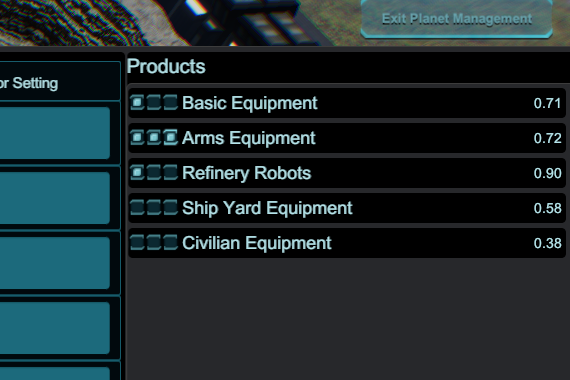 New BI settings – first off I will start producing YouTube Videos about aspects of the game. I will be covering this soon. If there are no dots, then the output is split between all. If there is one dot checked that one item gets 1/1 of the output. if one item has 3 dots then it gets 3/3 of the output. 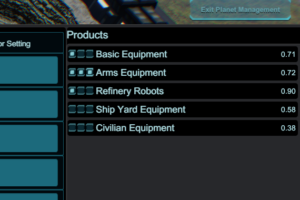 In this image Basic Equipment has one dot, Arms Equipment has three dots and Refinery Robots has one dot.